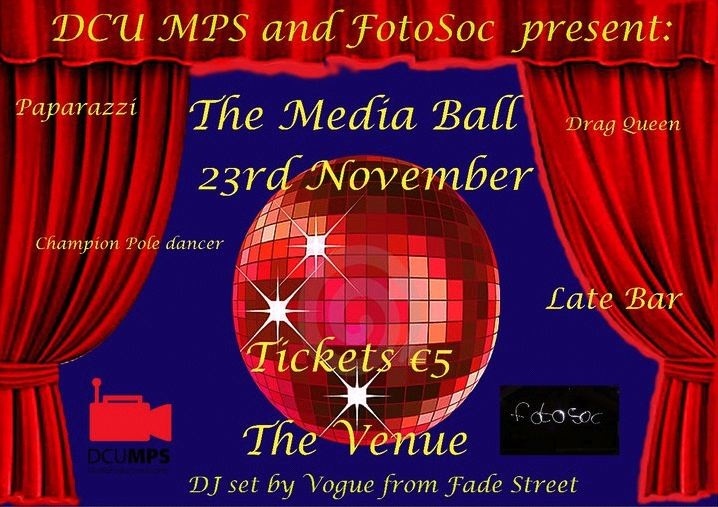 MPS, FotoSoc and LGBT bring you THE MEDIA DRAG BALL. Kicking off at 9pm in The Venue with 98fm’s Steven Cooper on the decks until 11pm when Drag Queen Davina Devine will take over! All the while the All-Ireland champion pole dancer will be…well pole dancing and the photographers will be snapping you on the red carpet.